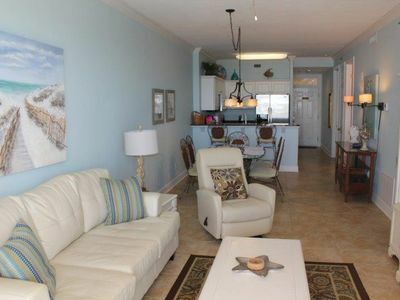 Master bedroom has king bed, 2nd bedroom has queen bed, sleeper sofa in living room. 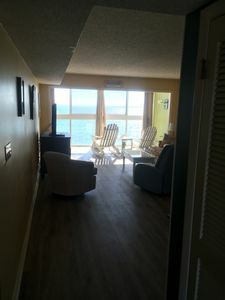 Both beds have new mattress sets purchased in 2017. 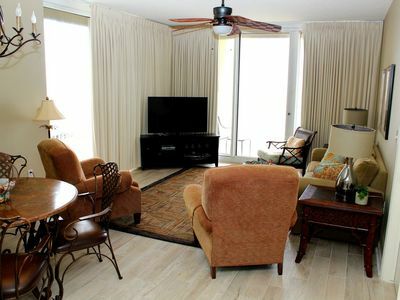 3 flat screen TVs, 2 DVD players. 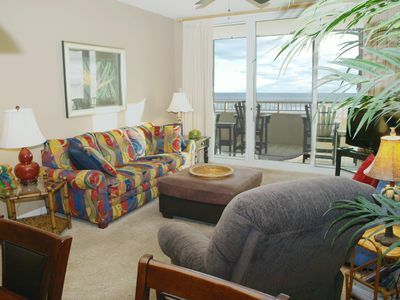 Accommodates 6 guests. 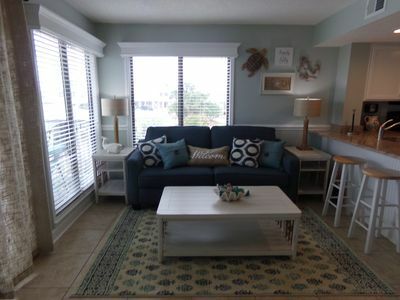 Condo is beautifully furnished, new living room furniture (including upgraded sleeper sofa) purchased in fall of 2014. 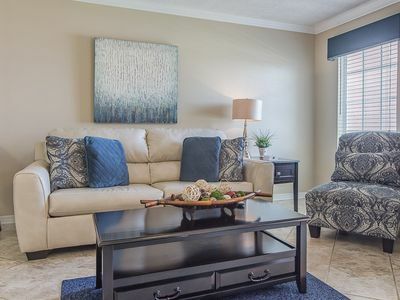 Kitchen renovated with beautiful custom cabinets, granite countertops and all new appliances in December 2017. 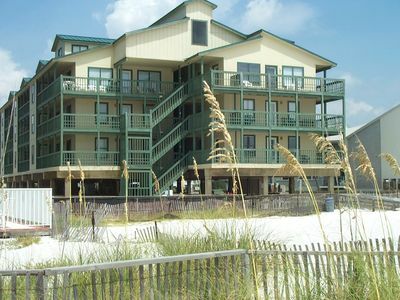 It is fully stocked with everything you need for your stay at the beach. 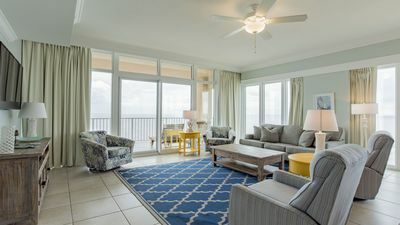 Both bathrooms also renovated in December 2017 with custom vanities, granite countertops, new mirrors & lighting, new toilets and resurfaced tub/shower combos. 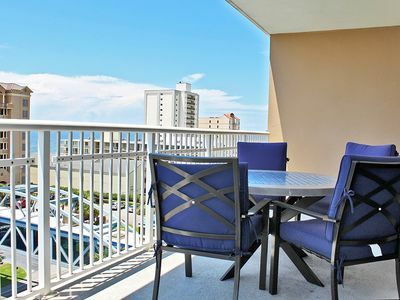 Balcony is enclosed with floor to ceiling windows which open up to enjoy the salt air and breeze. 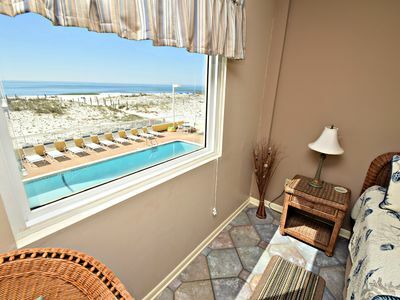 Escape the confines of a hotel and experience the freedom of your own personal slice of paradise right on the beach. 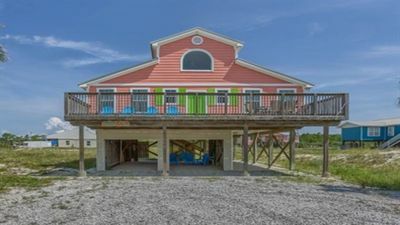 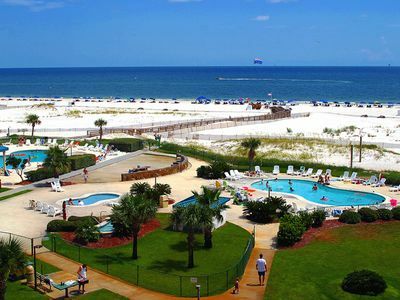 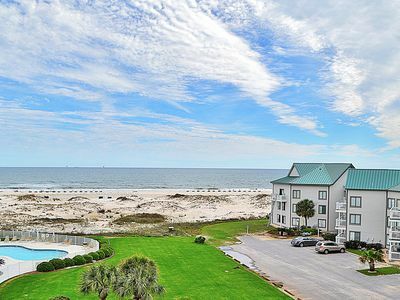 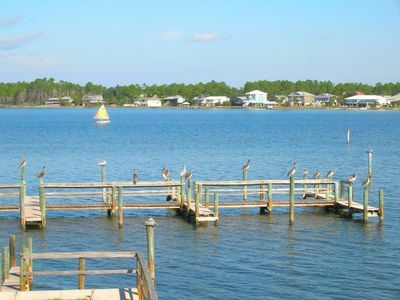 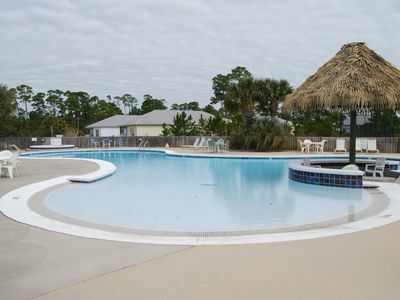 Gulf Shores Plantation 3324~ Spend your Summer in sunny Fort Morgan! 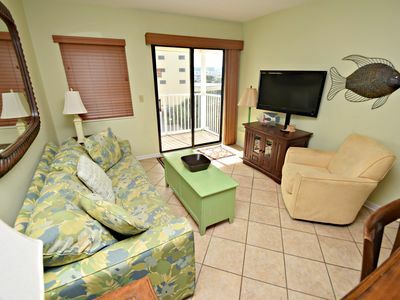 A410 Corner Unit! 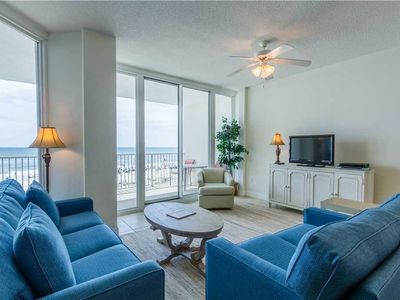 King/Queen/Twins/Sofa Sleeper - Direct Gulf View - WIFI!!!! 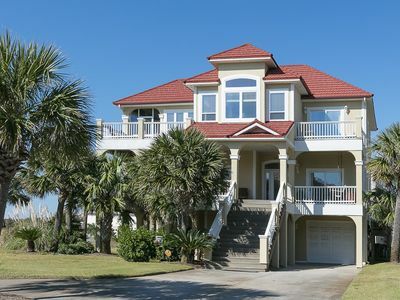 Stunning and Spacious Beach Home in Gulf Shores ~ Private Pool! 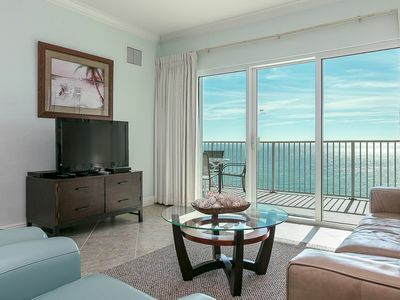 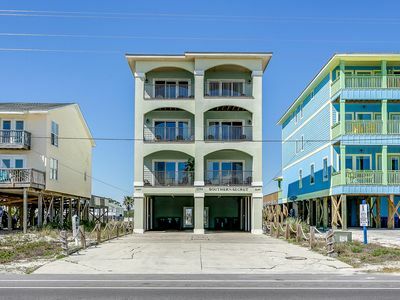 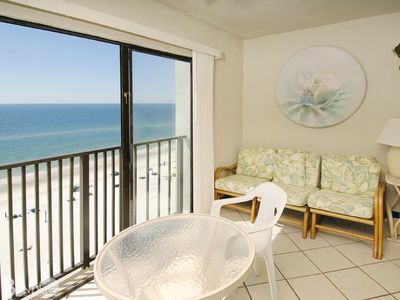 Driftwood 1D - Gulf Front Dream, Book today for best Summer rates!